Boxing is the red light district of sports, so it’s to be expected, we suppose, that “jackpots,” which fighters find themselves in, keep popping up with vicious regularity. This week, it was the Mexican middleweight Canelo Alvarez embarrassedly emerging as the most high-profile fighter to get red-flagged in some time, with traces of clenbuterol showing up in one of his samples. Excuses, or explanations, were offered, with the now familiar “tainted meat” reason being offered by his backers and partisans. His fans are prone to give him the benefit of the doubt. But scorn for the 27-year-old, who’s counting down to a rematch with Gennady Golovkin, to prove who’s the top of the heap at 160, is pretty rampant. WBC heavyweight champion Deontay Wilder went on the Gerry Cooney/Randy Gordon Sirius/XM show and touched on Canelo’s radioactive specimen. “I’ve said multiple times over and over again what I feel. 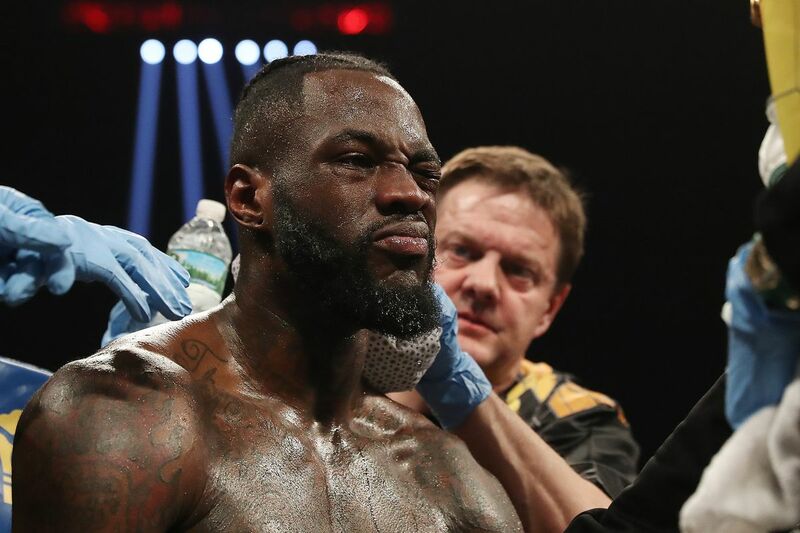 These sanctioning bodies, they’re getting money off of those belts,” Wilder said. “That’s why they keep bringing these guys back. Money rules boxing. “It’s just sad that this stuff is going on in boxing — that these guys need to do these kinds of things to have a come-up, to get an edge over these fighters. We risk our lives in the ring anyway. Now you’re putting something in your body that gives you even more bodily damage that will be applied to me. And more in the “jackpot” realm: Brit Scott Quigg (34-1-2) is fighting Oscar Valdez (23-0), the WBO feather champ at StubHub in Cali, on ESPN, but he can’t win Valdez’s strap, because he was over the contracted limit at the Friday weigh-in. This scale fail. We’ve come to be less and less surprised by it occurring, haven’t we, and it begs the question why it’s happening so often. Carl Frampton was a pound over 126 for his July fight versus Andres Gutierrez. Gervonta Davis was embarrassed by the scale last summer, two pounds over, and forfeiting his IBF 130 belt. Eduardo Ramirez failed on the scale in December, before fighting IBF feather champ Lee Selby. Diego De La Hoya missed a chance at upping his profile as his ESPN slot evaporated when he missed weight in mid December before a meeting with Jose Salgado. Javier Fortuna missed the mark in January before his faceoff with Robert Easter. And what about WBC champ Luis Nery being five pounds past bantamweight the day before his rematch against Shinsuke Yamanaka? What is happening, or not happening, in these camps? What, suddenly food is becoming that much more attractive to boxers? Egos run amok and too big for their breeches talents blow off listening to trainers? Strength and conditioning coaches and trainers are disconnected and nobody has final oversight over the weight watch leading to weigh in? Will this change? And if not, will some authorities start making moves to better address the situations? I touched base on the subject with promoter Lou DiBella. Say you promote a fight, Lou, your fighter doesn’t make weight. Or, his foe doesn’t but you are the promoter of record. Would you ever consider trying to lower the over-weight fighters’ purse, because the value of his performance has dipped? There will be lower stakes and less interest in the Valdez-Quigg fight because Quigg was over. Why should he get the purse he’s been promised? And I’m not talking the cut of his purse negotiated by Valdez’s manager.